Legal scholars are looking at the Trump administration's regulatory czar as a possible replacement for Justice Brett Kavanaugh's former seat. 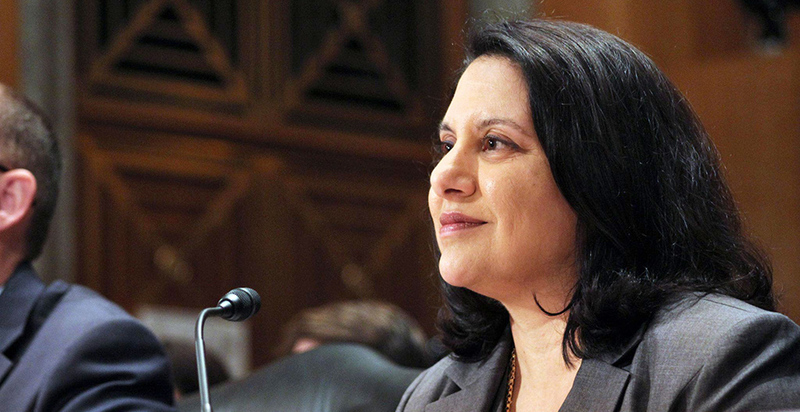 Neomi Rao, the administrator of the White House Office of Information and Regulatory Affairs, is among a handful of people who court watchers say could be a likely candidate to fill the newly vacant position on the U.S. Court of Appeals for the District of Columbia Circuit. "I'd be shocked if Neomi Rao wasn't on the short list," said Chris Walker, associate law professor at Ohio State University. 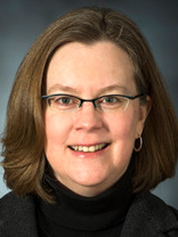 The head of OIRA has served in the administration for nearly a year and a half and is known among legal circles as a highly respected administrative law scholar who has distinguished herself for her right-of-center views. The position on the federal court has opened up after the exceptionally controversial nomination fight over Kavanaugh. The D.C. Circuit is considered to be the second highest court in the country and, as in Kavanaugh's case, has been a steppingstone to the Supreme Court. Those favoring Rao's nomination point to her academic credentials, work experience, age, gender and even her personal background as factors that could make her an appealing choice. "She's thoughtful and brilliant and would likely work well with the other judges. It's hard to think of a better choice," said Jonathan Adler, director of the Center for Business Law & Regulation at Case Western Reserve University School of Law. Ilya Somin, a law professor at George Mason University, where Rao has also taught, said the most important criteria for a D.C. Circuit judge is someone who has expertise in relevant fields of law along with a good judicial philosophy. He noted that knowledge of administrative law is particularly important. Somin is an active member of the Federalist Society but isn't involved in the group's judicial nominee recommendations. "My guess is they're looking for people who are conservative, who have some requisite legal background and obviously they care about whether the person has spoken out against Trump in the past or not," Somin said. Having a record of speaking out against the president could rule out some elite lawyers who would otherwise be qualified for the post, he added. Walker noted that because D.C. doesn't have home state senators, the president has more leeway to choose who he wants for the judicial post. As a fellow conservative, Rao would maintain the same balance of views on the court as with Kavanaugh on the bench. "I think they would be pretty similar," Walker said. Before joining the Trump administration, Rao was known for promoting separation of powers in the three branches of government. She has maintained that Congress should not delegate legislative authority to federal agencies and has called for more presidential oversight of them. She has favored extending OIRA review to independent regulators. Rao has led the administration's efforts to cut regulatory costs and has touted federal agency efforts to roll back "burdensome" standards and make the rulemaking process more transparent (Greenwire, Sept. 25). Former OIRA Administrator John Graham said in an email that Rao would make a "superb addition" to the D.C. Circuit or to another federal appeals court. "In conservative circles, her name is often raised as a promising candidate in that regard," Graham said. Her experience in the administration could help her chances of being nominated. The latest appointed judge to the D.C. Circuit, Gregory Katsas, was the former deputy White House counsel. Rao, however, would have to recuse herself from any decisions the court might make on anything related to her work at OIRA. Such a restriction seems unlikely to hurt her prospects, said Walker. Rao's experience gaining approval from the Senate last year with some bipartisan support could also be a benefit. Somin thought her chances were good on a second confirmation run, even though the administration's deregulatory push has faced strong opposition from Democrats. "I think most likely she would be confirmed, certainly if the Republicans still control the Senate but possibly even if not. Obviously she's a highly talented and capable person. She knows a lot about administrative law, which is what the main docket of the D.C. Circuit is," Somin said. There are other factors potentially in Rao's favor. At 45, she falls right within the early to mid-40s age range when D.C. Circuit judges are typically being nominated. And as the daughter of doctors who immigrated to the U.S. from India, her presence would add diversity to the court. Rao also has served in all three branches of government. Before taking on her current role in the executive branch, she was associate counsel and special assistant to the president for the George W. Bush administration. She clerked for Judge Harvie Wilkinson on the 4th U.S. Circuit Court of Appeals and for Supreme Court Justice Clarence Thomas, and one a brief stint as counsel for the Senate Judiciary Committee. Rao also worked in the private sector, in the international arbitration group of the London-based law firm, Clifford Chance LLP. Before joining the Trump administration in July 2017, Rao taught as an associate law professor at GMU, where she also founded and directed the Center for the Study of the Administrative State. Rao's name is not the only one getting some buzz for the D.C. Circuit post. Others include prominent lawyers from business groups, private practice and academia. Business lawyer Kate Todd, for one, is a former senior vice president and chief counsel for the litigation arm of the U.S. Chamber of Commerce. "She is very, very bright, young like Neomi is, she has this record of fighting regulations that I think would be appealing," Walker said. Paul Larkin, a senior legal research fellow at the Heritage Foundation, said he would place both Todd and Rao in a top 10 list of possible candidates. Larkin assisted in drafting a list of names of judicial candidates the Heritage Foundation gave the Trump team but said he was not involved in any current efforts. Todd also served as associate counsel to President George W. Bush, worked in private practice and clerked for Thomas on the Supreme Court. At a Federalist Society event last year, Todd had harsh words for the Obama administration's regulatory agenda. "Where you have absolutely outrageous overregulation, you tend to have a lot of groups that come together," she said, "and nothing quite brings everybody together in litigation or otherwise like that sort of determined enemy that I think so many saw in the Obama administration." She said some regulations were so "deliciously terrible" that they were "dream targets" for litigators. "I think it's worth remembering, remember the EPA's Clean Power Plan that generated the unprecedented stay out of the Supreme Court, where the D.C. Circuit wouldn't do that job, one of the last acts of Justice [Antonin] Scalia judicially," she said. 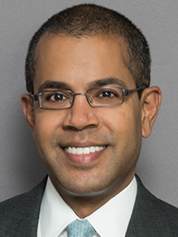 Kannan Shanmugam, frequent Supreme Court litigator, is also in the mix. A partner at elite law firm Williams & Connolly, Shanmugam has argued 23 cases at the high court. He previously served as assistant to the solicitor general during the George W. Bush administration and clerked for Scalia. Shanmugam represents Exxon Mobil Corp. in an ongoing battle over whether the oil major must hand over company records on climate change in response to Massachusetts Attorney General Maura Healey's (D) investigation into whether Exxon misled the public on the issue. 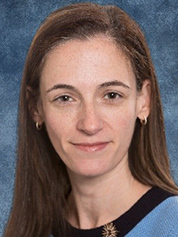 Another potential nominee is Kristin Hickman, an expert in administrative law and tax policy and currently serving as special adviser at OIRA. She's also a University of Minnesota law professor. Hickman has written extensively on agency deference doctrines, including the Chevron standard. Justice Neil Gorsuch, an ardent critic of Chevron deference, cited Hickman's work in a decision last year. But unlike Gorsuch, Hickman hasn't called for an outright unraveling of the standard. In a law review article, she and a co-author argued that "claims that Chevron is in decline are overblown, and efforts to overturn Chevron in any meaningful sense are misdirected." George Mason University professor Jennifer Mascott. Brigham Young University professor Aaron Nielson. University of Virginia professor Aditya Bamzai. Quinn Emanuel Urquhart & Sullivan LLP attorney Chris Landau.